Looks like it's going to be a rainy Easter over here. Forecast calls for wet days for the whole week. A bunch of us, families with kids of similar age, have organised a picnic and egg hunt for Monday, but at this rate, it may be a wash out. Kids are on their Easter breaks right now and trying to keep them busy indoors is no small feat. At the moment, Miss C is parked in front of hubby's laptop, playing Club Penguin. We've already decorated eggs and were meant to go out today, but it just bucketed down. Nixed that plan. I guess spring showers (read torrential rain), are here. 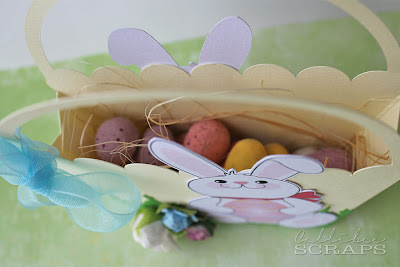 Meanwhile, I've been coming up with a couple of Easter projects to celebrate this coming holiday. Remember, I did some Easter cards a few days ago. This time, I've been making use of the eClips again and also, altering chocolate packaging. 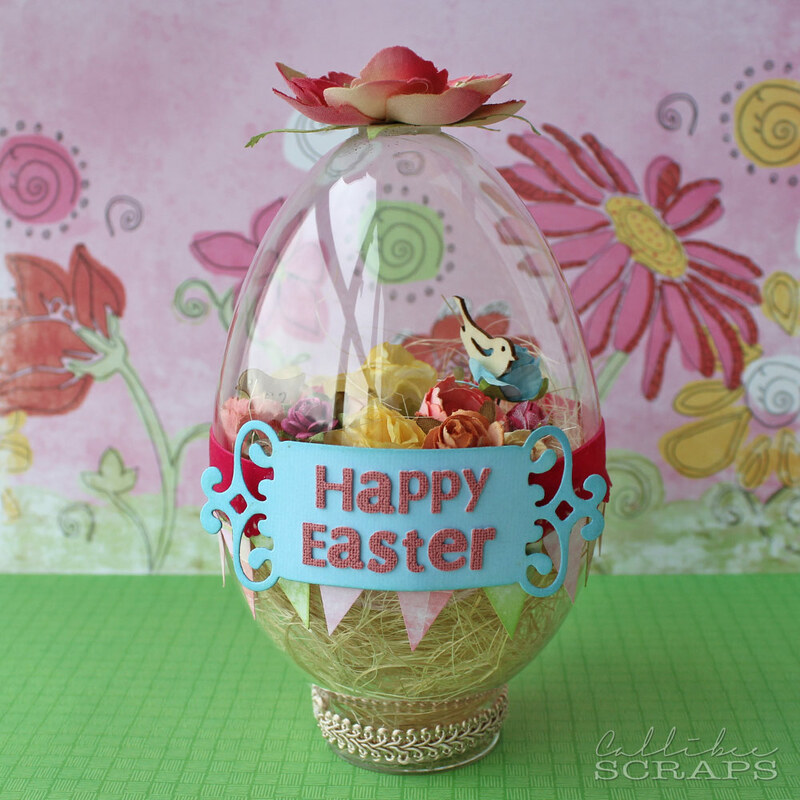 Where else could you find a more appropriate egg to fill with some spring flowers and birds? 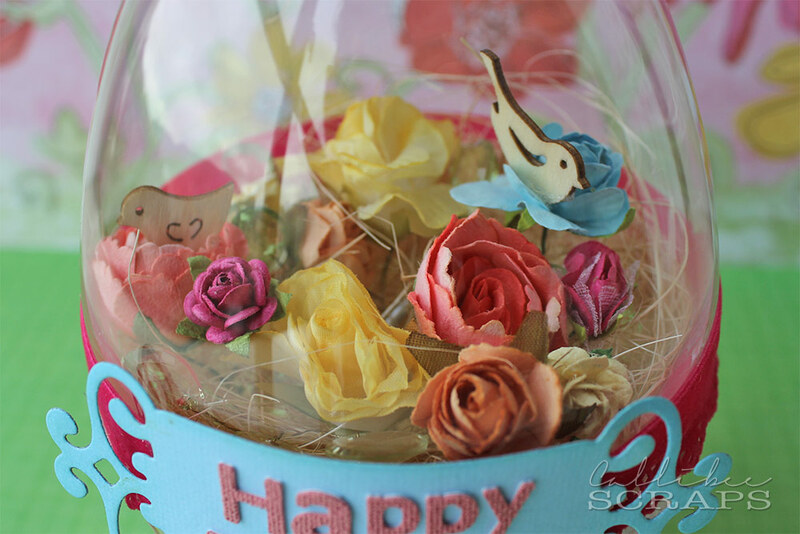 Super simple project, curl some straw into the base and stick lots of flowers into it. Add a couple of wooden birds. Trim the opening with pretty pink velvet and a small string of paper banners, before adding a tag. Easy as that. 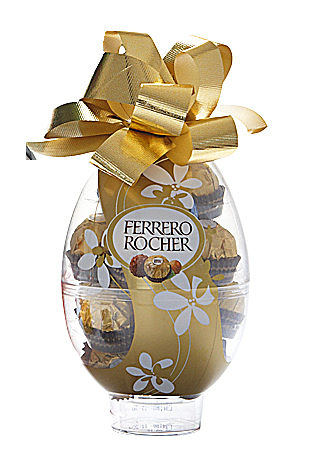 Oh, and try not to eat all the chocolates that came with the egg case in one go - not so easy. 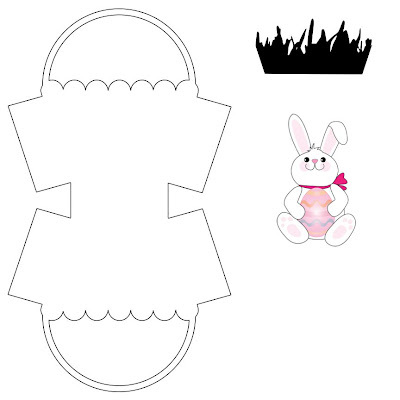 For this Easter basket, I designed my own SVG file, which I'm sharing with you. All you have to do is click on the last image, download and then import the SVG into your eClips or other die-cutting software system, and cut it out. 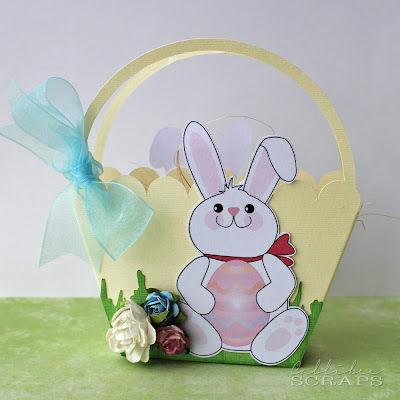 The bunny was modified from a stock photo and I turned it into another SVG. Fill it with a bed of straw and a handful of chocolates. Thanks Grace, you're so good! 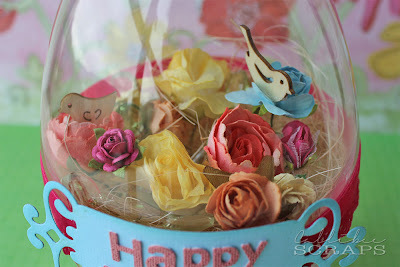 I am just thinking of making something for my colleague and here is the idea!